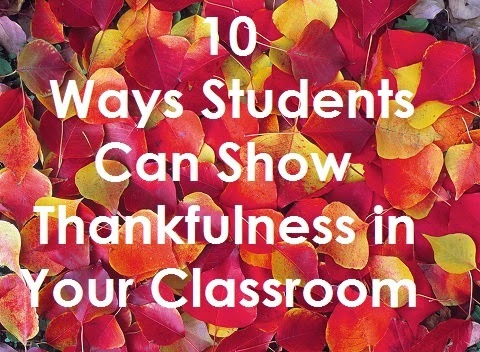 With Thanksgiving coming up next week, I thought now would be a great time to share some ways students can express and practice gratitude and thankfulness in the classroom. 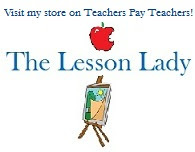 I think all teachers know that we don't only teach subjects but social skills as well and thankfulness is key. Here are ten ideas to get started! 1. Write a letter to someone that they are thankful for. 2. Draw a picture of something they are thankful for. 3. 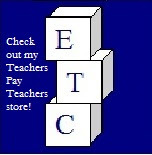 Have a classroom food drive or other community service project. 4. Create a graphic organizer brainstorming things they are thankful for. 5. Create a thankful chain by having students write their thanks of strips of paper before connecting them. 6. Research a quote about thankfulness and explain how they understand it. 7. Create a classroom graph of what students in the class are thankful for. 8. Create a top 10 list of things to be thankful for. 9. Read a book about thankfulness. 10. Keep a classroom gratitude journal.